The aim of this competition is bringing florists in international arena. this competition will choose the participant who will represent Armenia at World Cup and Europa CUP international competitions. 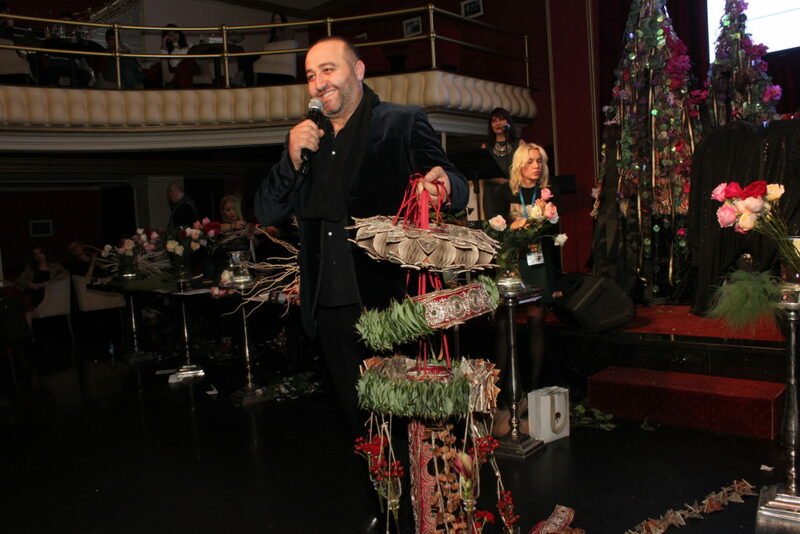 Judges were from Russia, Kyrgyzstan, Romania, Armenia- Araik Galstyan (chairman), Lilia Khan, Ioana Cadar, Natalia Studennikova, Edita Pogosyan, Donara Kostandyan). 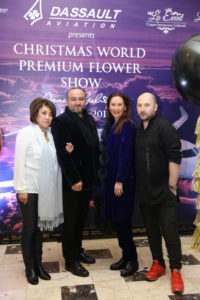 Technical committee members were: Lubov Mardovina, Alena Bazina, Vladimir Savinkov. 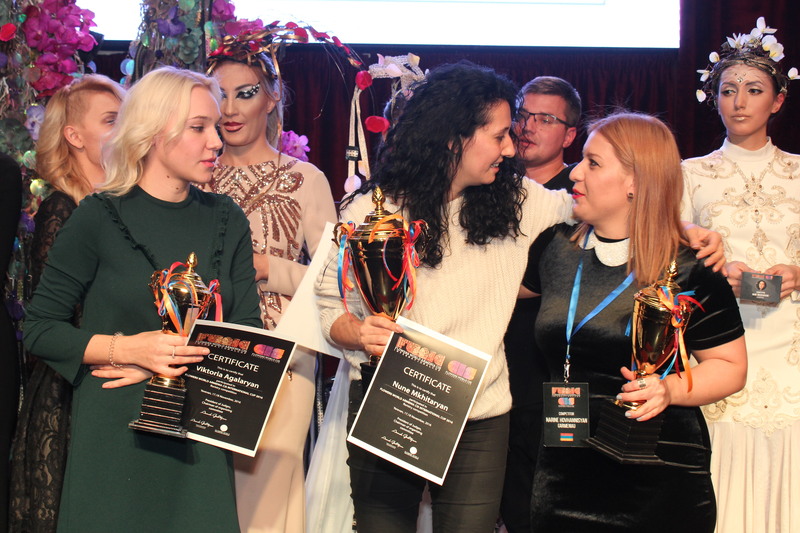 Tasks were 5, competitors made 2 home works and 3 surprise works. 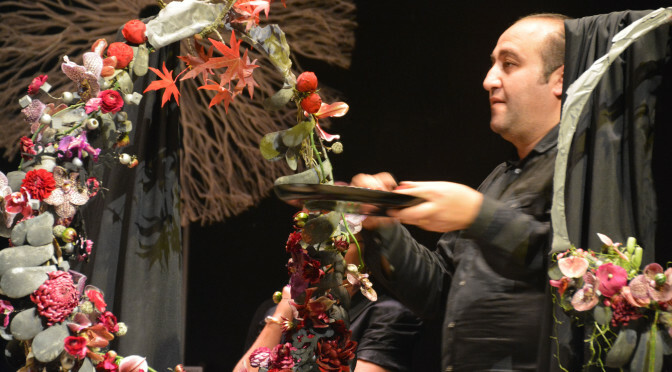 In these days there were 2 days of Araik Galstyan’s workshop. 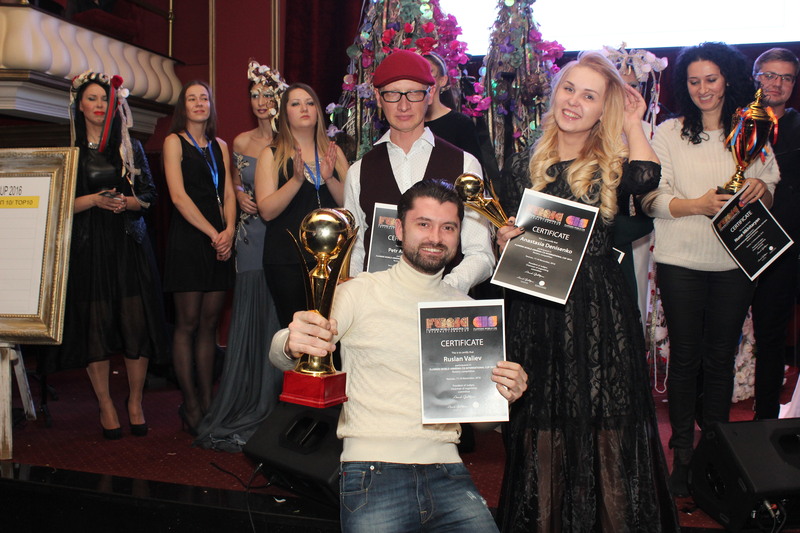 After competition was held show of Araik Galstyan and Edita Pogosyan & award ceremony of winners. 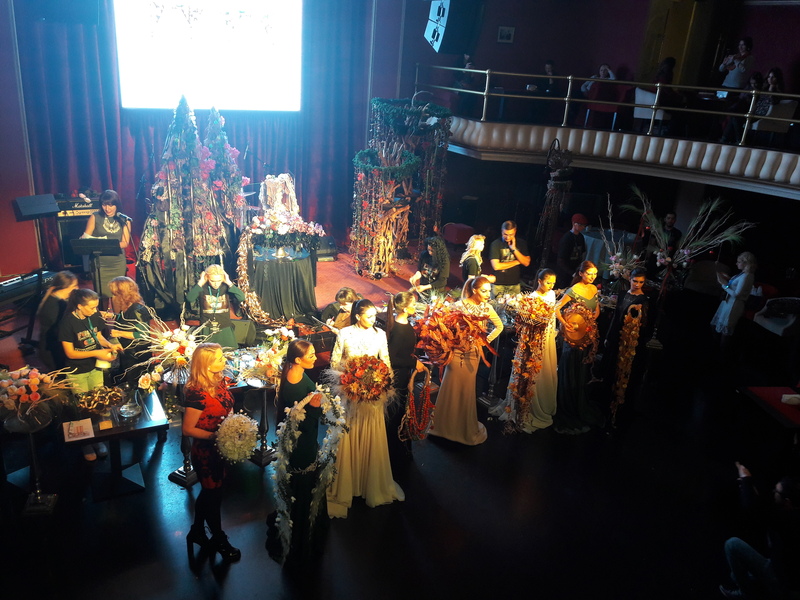 During the show competitors made their last task- surprise work and results was announced after judges made their final decisions. -Aablo-Dutch unique flower company that can deliver all kind of ordered flowers to any country, even in very small towns. 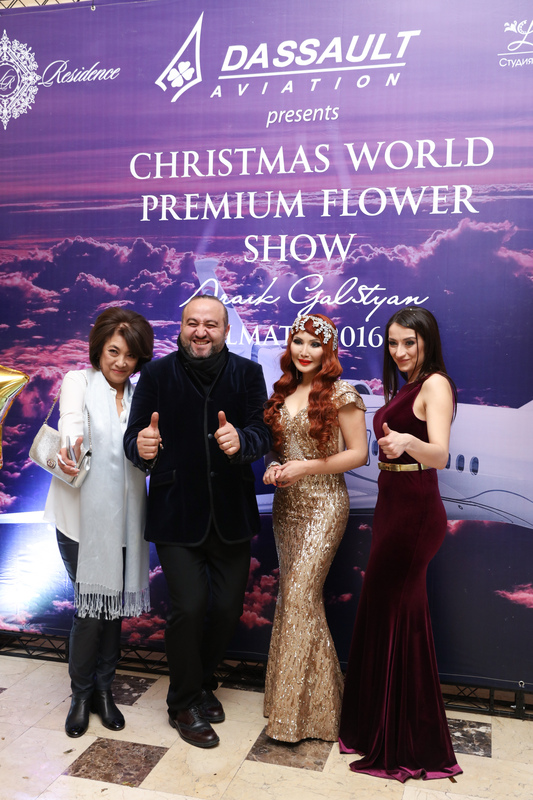 -Plastiflora Polish company that offers a large range of packaging papers, ribbons, accessories and other floristic materials. 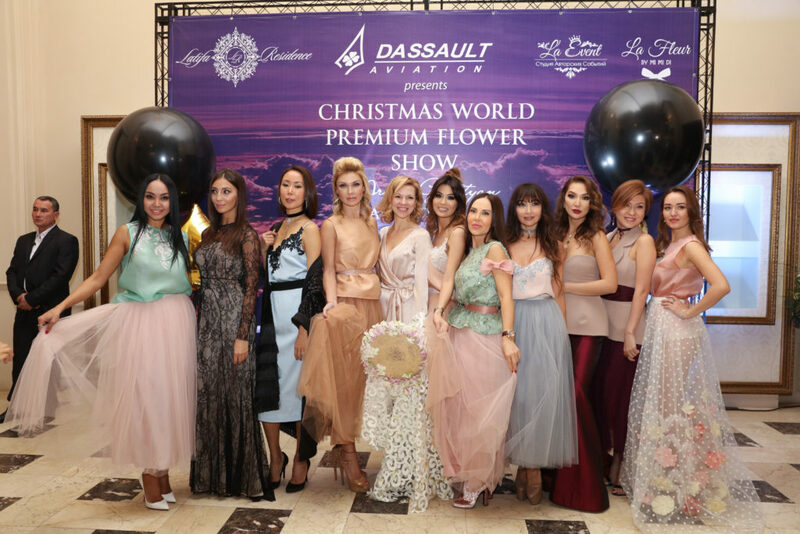 -Alexandra Farm and David Austin companies, growers of elegant and beautiful roses, the roses which are formed on top of wedding ceremonies. 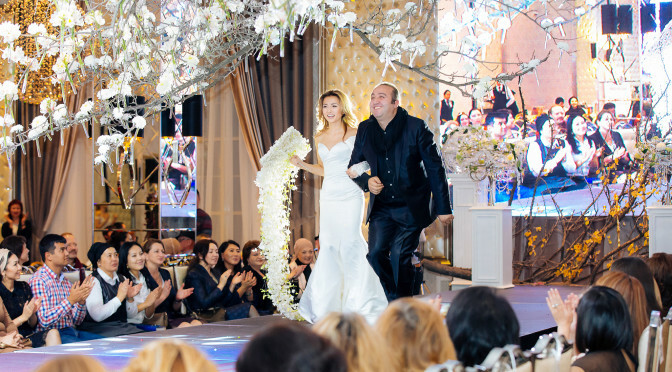 -Mon Ami floral and interior design salon, which is one of the largest company engaged in the design, wedding celebrations in Armenia, which is equipped with the latest technical and material resources necessary for the formation of modern events. It has professional staff that is able to make dreams a reality. -Marmari Ashkharh, which is engaged in importing high quality and durable materials, natural stone, processing, and also offers a very nice and wide range of tropical and exotic plants. -Make-up studio- leading company in cosmetology, studio’s variety of high-quality services list also offers a unique make-up, witness to which audience has seen during the show. 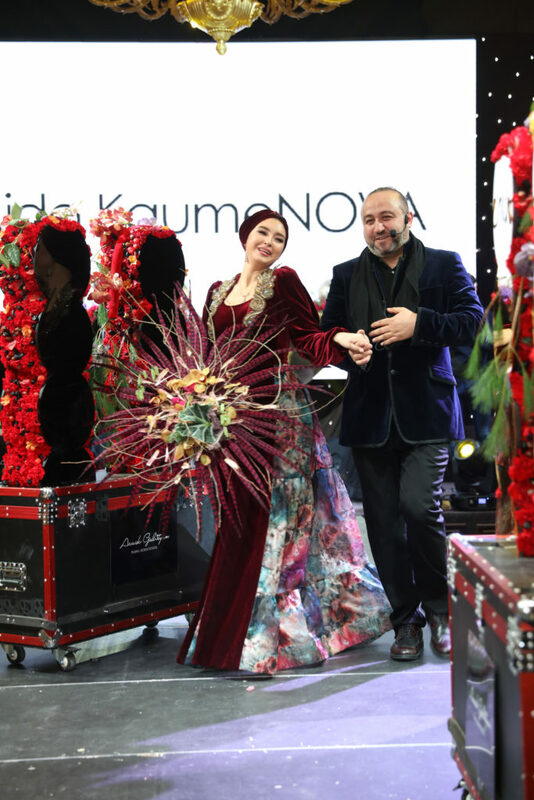 -Kivera Naynomis-fashion brand, which has gained the confidence of customers and the strict dictates of taste. 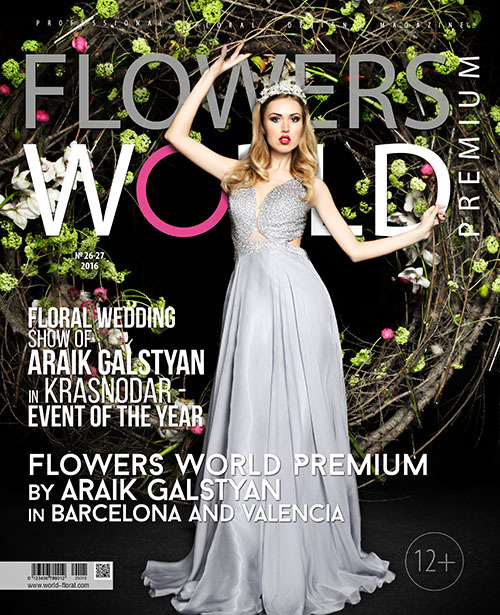 -Flowers Wold professional Wedding Magazine, the world’s best presenter of the floristic trends. -Yans Club- which has brought a new quality entertainment and musical taste, offering high-quality music and services. Finally, Araik Galstyan Moscow International Floral design School, which offers professional training to beginners as well as experienced florists in qualification of Master florist. 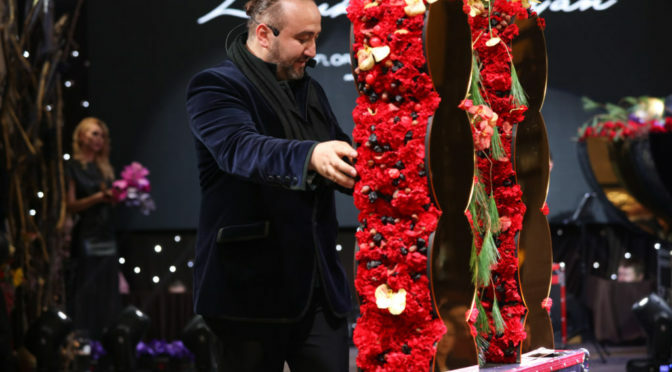 The school organizes monthly workshops, invite international master florists which has great success in Europe and they share their experience with the students. 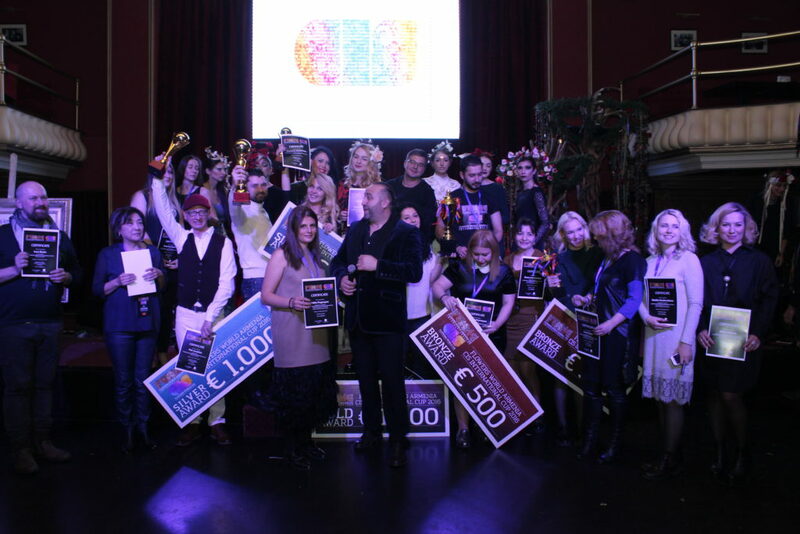 Participant’s works has placed in the Yans Club area. 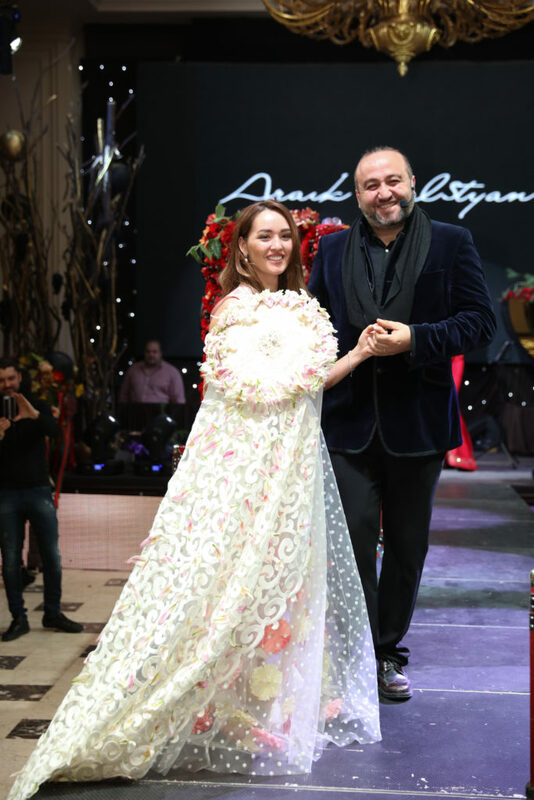 During the show Master Araik Galstyan presented his unique approach. As his students like to call him, the maestro has shared his creativity, unique taste, infinite kindness and cheerful mood with audience. 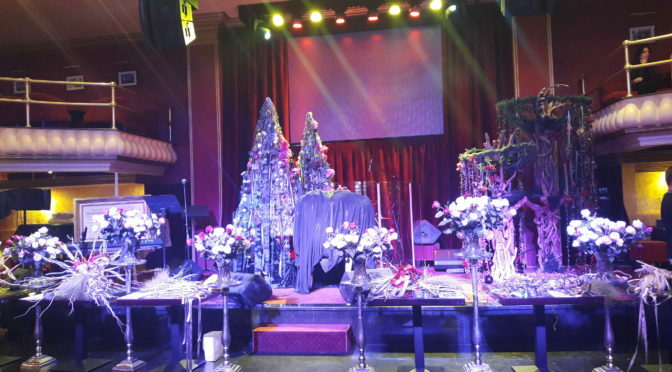 It was Christmas time on the stage. 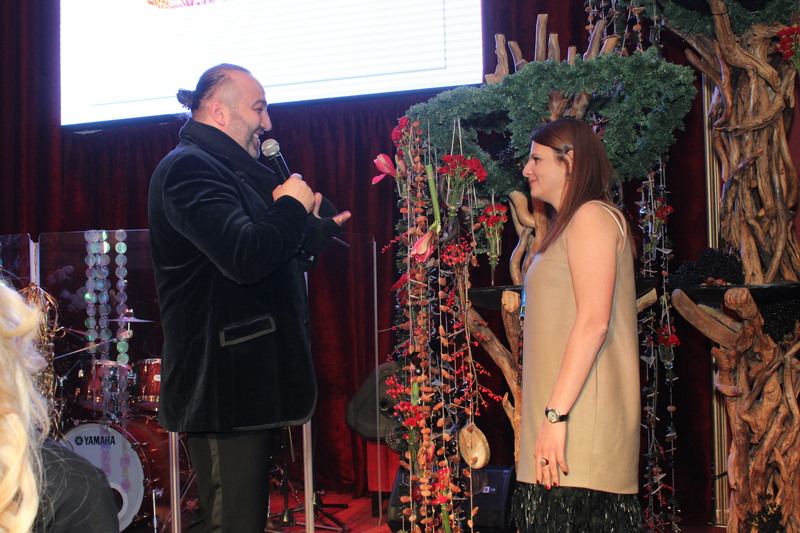 On stage with Araik Galstyan has been worked and presented her unique works founder of Mon Ami flower and design salon- Edita Poghosyan, she has been involved in a number of prestigious international competitions, registering good results. The majority of evening was over, we’ll meet next year.